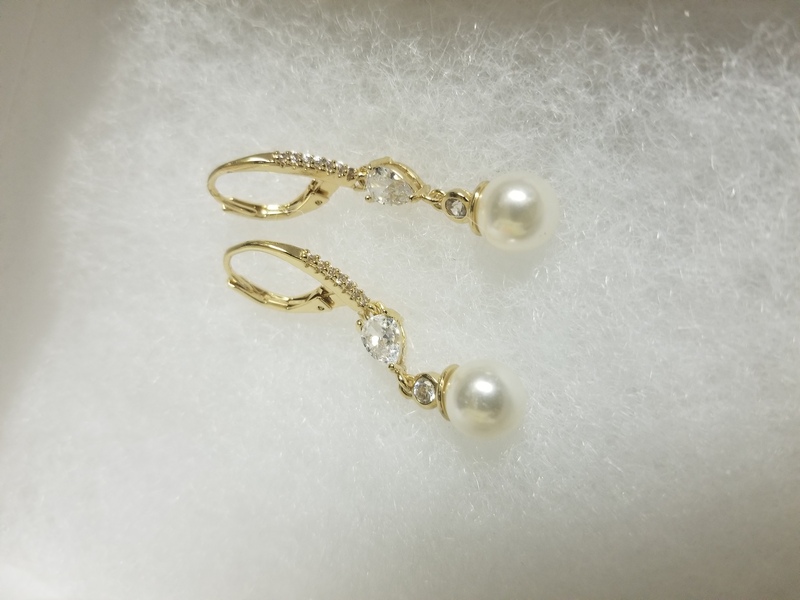 Brand new gold earrings with pearl. Not used. I used a similiar earring.